The ViP622 DVR™ is cutting-edge TV sophistication with a digital video recorder and high-definition receiver that supports two TVs. 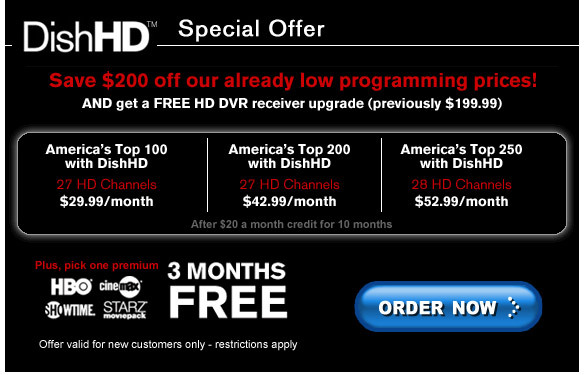 It’s another example of DISH Network setting the standard for better TV. The ViP211 ™ receiver features one tuner for veiwng DishHD programming on one television. Bring it all home with a receiver designed specifically for HD. Make the experience even better with a model that includes a built-in DVR (digital video recorder) to pause live TV and record your favorite shows in high definition. Learn More. 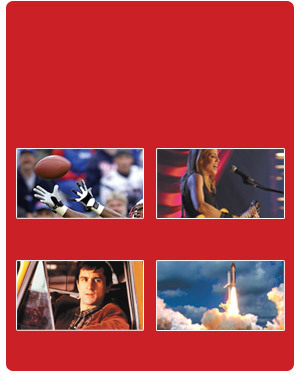 SatHookup makes it easy to receive high definition satellite television from dish network with DISHHD™ Entertainment Packages which includes ESPN HD, Discovery HD Theater™, TNT in HD, HDNet and HDNet Movies all for one low monthly price. Sitemap Aarron Georgia Local Installations!